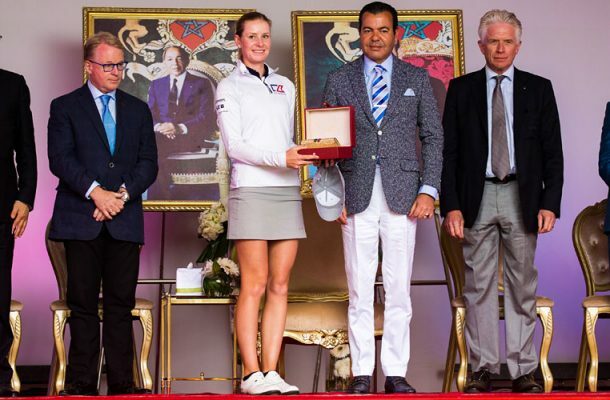 Sweden’s Jenny Haglund is hoping that her defence of the Lalla Meryem Cup will be the first of many as she prepares for the seventh Ladies European Tour event of 2019, taking place next week at Royal Golf Dar Es Salam in the Moroccan capital Rabat. The 25-year-old from Karlstad defeated Sarah Kemp and the 2017 champion Klara Spilkova in a play-off at the venue last year. The trio tied on three-under-par after four rounds on the Blue Course before Haglund made a brilliant birdie on the second extra hole, the par-four 18th, to take home the beautiful jewel-encrusted purse trophy. 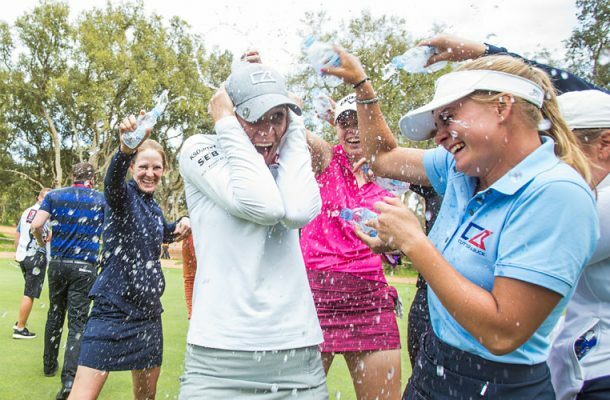 She went on to win the Symetra Classic, finish fourth on the Ladies European Tour order of merit and earn her LPGA card for 2019. She has enjoyed some decent form on the LET so far this year, beginning the season with a T8th finish in the Fatima Bint Mubarak Ladies Open in Abu Dhabi and a T6th finish in the Australian Ladies Classic – Bonville – starting the Lalla Meryem Cup in 12th position on the order of merit. 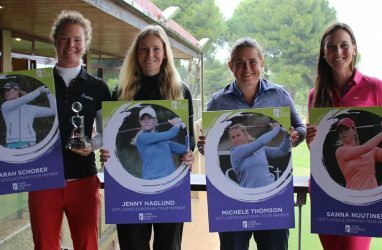 Having tied for 11th at Royal Golf Dar Es Salam in her rookie season in 2017, she knows her way around the Blue Course and said: “I’m really looking forward to coming back to Morocco. It is one of my favourite tournaments we play all year. It’s my third year coming back and I have done well each time, in my rookie year and last year when I won my first LET title. It will be very special. “My plan is to go out and do what I normally do during a tournament week, and stick to my routine. However, I do understand that it might be a bit different being the defending champion with some extra media time and attention. I will have my younger brother, Tim, on the bag caddying next week, so I am excited for that. We usually make a pretty good team. It will be extra special to share this experience with my family. “I really like the course; there are some birdie holes out there, but there is also a need of some strategy which I really enjoy. Being in a good position from the tee is key, and then of course it will all play out on the greens. Under the High Patronage of His Majesty King Mohammed VI, the Hassan II Golf Trophy Association is organising the 46th edition of the Hassan II Trophy on the men’s European Tour and the 25th edition of the Lalla Meryem Golf Cup on April 25-28. Both events joined their respective tour schedules in 2010 and they will be played simultaneously over the Red and Blue courses at Royal Golf Dar Es Salam for the fourth consecutive year.